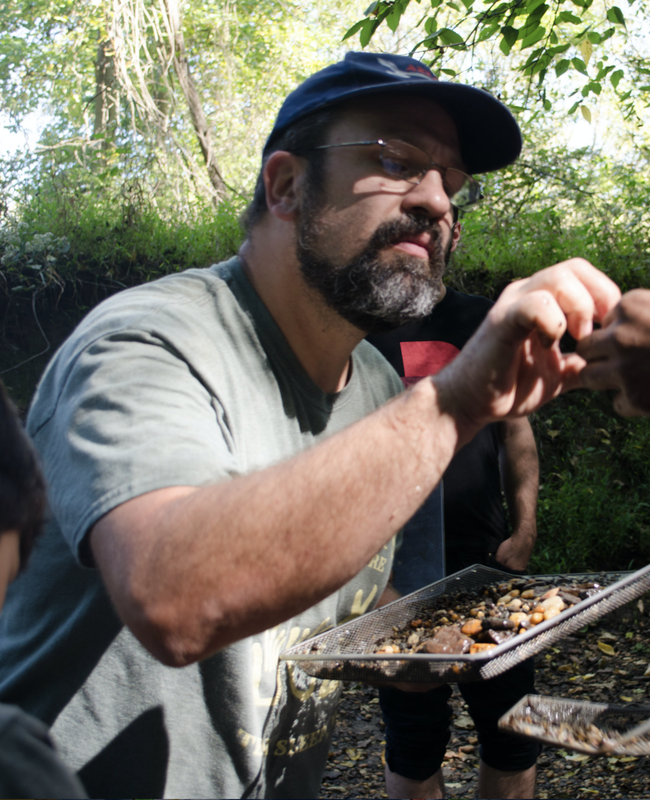 On Saturday, October 13, the MSNH joined Carl Mehling on a hunt to look for fossils in a stream in Big Brook, N.J. 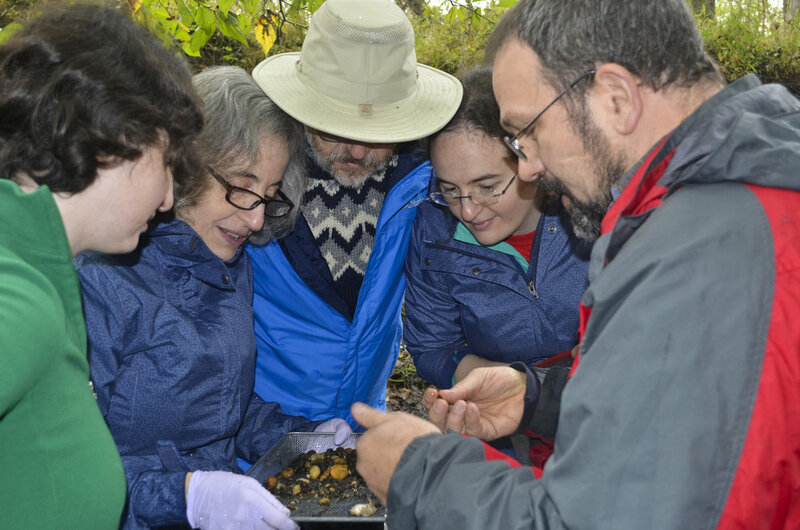 Although the weather was chilly and rainy, hard-core naturalists braved the weather early in the morning to see what remnants they could discover from a lost 72-million Cretaceous Jersey marine fauna. Enthusiastic naturalists got down in the stream (although quite cold!) and used their sifters to see what they could find buried among the rocks at the bottom. Notable finds included a bunch of sharks teeth, bony fish vertebrae, cephalopods, brachiopods and oysters bits. Carl Mehling has been at the American Museum of Natural History since 1990 and currently cares for the world's largest collection of dinosaur fossils, plus other reptiles, early synapsids, and early tetrapods. He is interested in all aspects of paleontology, especially fringe areas like bizarre modes of preservation, anomalous discoveries, and oddities within the history of paleontology. Carl collects fossils of all kinds, globally, and writes about scholarly and popular pieces of fossils. To view more photos from this event, visit our gallery. All photo credit goes to Glenn Doherty. For additional information on New Jersey fossils, Carl recommends this website. When identifying you Big Book sharks teeth, be sure to look at only Cretaceous sharks teeth on the site to confirm identifications.